" If we want to be loved we must disclose ourselves to the other person. If we want to love someone they must permit us to know them. " The nature of love is one of the great mysteries of life. One way you can improve your relationship and love life by understanding one another's personality. Chinese Horoscope is based on a ten year Sun-Moon cycle which forms the basis of ancient Chinese agricultural calendar. The cycle is divided into the five elements: Water,Wood, Fire, Earth and Metal as well as these 12 animals which represent each year. The system is influenced by Yin (female) and Yang (male) cosmic force which is said to be an interpretation of universal harmony and balance. A 6th century AD Chinese vase decorated with the images of the 12 Chinese Horoscope signs. Understanding the characteristics of the animal that rules that year will help you to be more understanding and tolerant of that person and an increased awarness of your own strengths and faults. 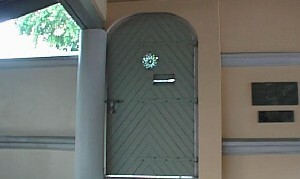 At the above (green coloured) gate of the former Convent of The Holy Infant Jesus (CHIJ), many babies were abandoned in baskets to be picked up by the Sisters of the Convent. 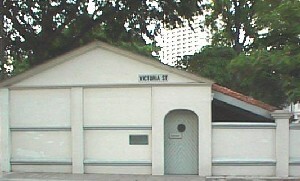 This was the origin of the Home for Abandoned Babies. For over 100 years, the orphanage was home to children from poor or broken homes as well as unwanted babies. The orphanage took in many Chinese baby girls born in the year of the tiger - " tiger girls " because of the strong superstitious belief that they would bring bad luck to their families. In 1963, the Mother Superior noted that this practice was stopped as there was a marked change in this supersitious belief. The Home of Abandoned Babies ceased finally in 1983 when the CHIJ Convent was relocated.